Three years ago, almost to the day, I listed the Top 10 Minor League Team Names. In the 36 months since, so much has changed in Minor League Baseball. Some teams have moved, old ones disappeared, new ones were born, and some changed their identity. Enough turnover has occurred that I felt it time to power rank minor league baseball teams again... simply based on who they are. In my opinion, there have been some obvious misses (I'm looking at you Florida Fire Frogs) but I'm going to give you what I think are the Top 10 as of June 2017. Minor League teams like to have one-off promotions to move the PR needle (like Star Wars Night, or The Price is Right Night). The Fresno Grizzlies a few years back decided to have a promotion celebrating taco truck culture around Fresno with its "Taco Truck Throwdown." Then in 2015, for one night, the Grizzlies rebranded themselves as the Fresno Tacos during the Taco Truck Throwdown. It caught on probably more than they were expecting, because this year, every Tuesday home game is now Fresno Tacos Tuesday. Merchandise sales have been brisk, because honestly, people love tacos. 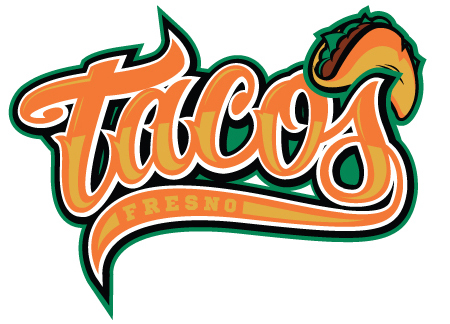 While I don't expect the Fresno Grizzlies to become the Fresno Tacos full-time, I would not be surprised if they did. The only reason they aren't rated higher on this list is because it's only part time identity. 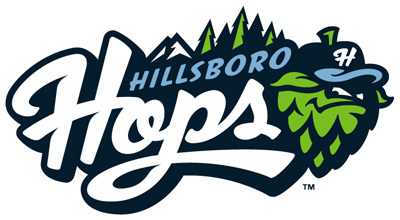 As mentioned before, Oregon is the second-largest hop-producing US state by volume, and I like that this team in a suburb of Portland opted for local flavor (no pun intended... ok, maybe a little). The mascot's name is Barley, but he's not actually barley. Details. Did you know that Lehigh Valley and Fresno had a friendly social media battle dubbed "Bacon vs. Tacos." The IronPigs won fan voting (hey, people love bacon) so Fresno will actually wear Lehigh Valley's bacon-logo caps during one of their games, the first time a team has worn another active teams' lids. 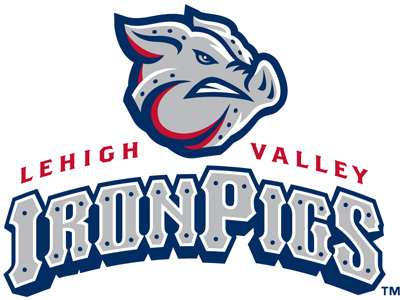 Fun fact: in 2016, Forbes listed the IronPigs as the fourth-most valuable Minor League Baseball team with a value of $43 million, the tops of any team on my list. As mentioned before, the "Tin Cap" refers to a fictionalized depiction of John Chapman (a.k.a. Johnny Appleseed) wearing a cooking pot as a hat in the 1948 Walt Disney animated classic Johnny Appleseed (something about a bonnet, with a handle on it). Though this depiction has been disputed by historians, John Chapman did indeed spend his final years in Fort Wayne and is buried in the city. If you want, you can buy a foam version of a tin cap to wear in the stands. It's available on their online store. Nothing says a lovely summer night in the south like sitting on your porch watching the fireflies and listening to the ballgame on the radio. It beautifully ties in local flavor, and more importantly, it's an original name that no one else. In a standard "name-the-team" contest, the other options were Heat, Wrens, Capitals, and Bulls. Indeed, Fireflies is way better. Bonus, the white around the logos on the caps will glow in the dark, just as fireflies do. Say it with me. 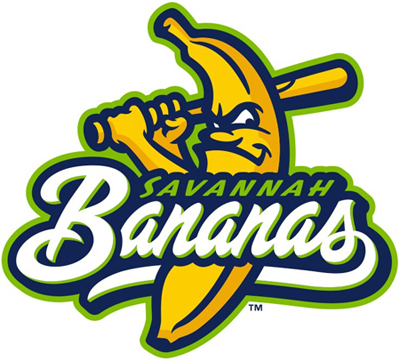 Savannah Bananas. Savannah Bananas. 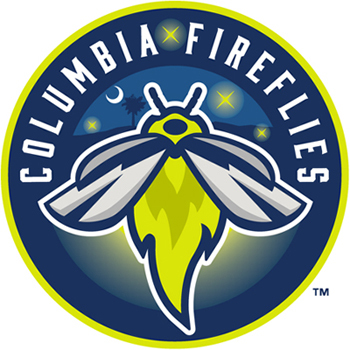 So after the Savannah Sand Gnats left town after the 2015 season to become the Columbia Fireflies (above), the independent Coastal Plain League (a wood-bat collegiate summer league) welcomed a new team in Savannah into their ranks. Frankly, I rather cheer on the Bananas than the Sand Gnats. The finalists in the name-the-team contest were Anchors, Ports, Party Animals, and Seagulls. Man, that's not even a choice. Go Bananas! Al the Almond and Wally the Walnut are now accompanied by Shelley the Pistachio, and they make plenty of appearances, not only at games, but in the community as well. The Seattle Mariners purchased a majority ownership stake in the team; I really hope they keep it nutty. 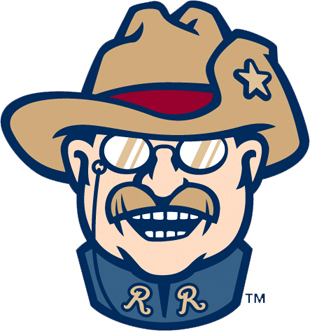 The Frisco RoughRiders have existed since 2003, but their brand and identity was very ho hum. Their generic cowboy on horseback was not even worthy of a look on the last rankings. But hello Teddy Roosevelt! They kept their name, but rebranded everything else and adopted Theodore Roosevelt circa the Spanish-American War (if you don't know the reference, read a history book will ya!) as their new logo. I can't tell you how much an improvement this is. And look at this alternate logo that's used on some of their caps. I would buy this hat (I wear a 7 7/8 to fit my big melon head if anyone in Frisco is wondering). The king has been dethroned. 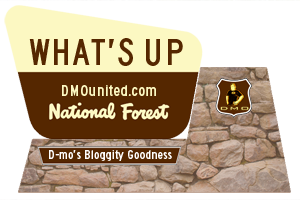 I didn't think anything could top Monty, the anthropomorphized buttermilk biscuit. Nonetheless, the Biscuits is still a strong brand, and still a great name for a ball club. 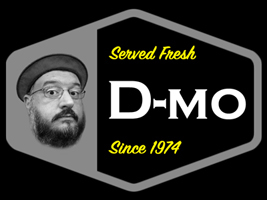 Original, local flavor, and the kids love it. Bonus: in 2014, a new live mascot was introduced, a pot belly pig, and the name was again a result of a name-the-mascot contest. After 4,800 entires, the pig became Miss Gravy, Duchess of Pork (this is awesome). She retired two years to a farm outside Montgomery. This franchise really is hitting all the right notes. 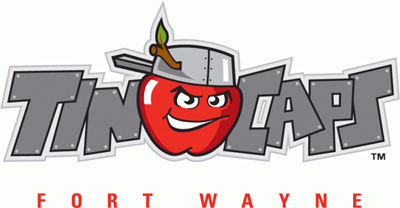 In 2016 the Binghamton Mets announced a plan to change the team's name effective for the 2017 season. Not necessarily to distance from the parent club, but like more and more minor league teams, to connect with their local and regional identity. The team held a name-the-team and the finalists were: Bullheads (for the bullhead catfish abundant in the nearby Susquehanna River); Gobblers (for the rich hunting culture of the area, as well as the turkeys in Binghamton), Rocking Horses (for the region's nickname as the "Carousel Capital of The World"), Rumble Ponies (also a carousel tribute), Stud Muffins (for the collections of carousel horses in Binghamton), and Timber Jockeys (for everyone who rides the carousels). I had no idea there was a Carousel Capital of The World and that it was in Binghamton, New York. 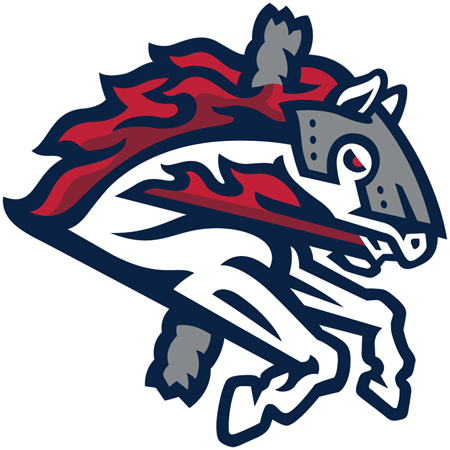 Rumble Ponies is simultaneously ridiculous and awesome (a plus for a minor league team), draws on the region's heritage (great for appealing to the locals), and look at the fierce logo. 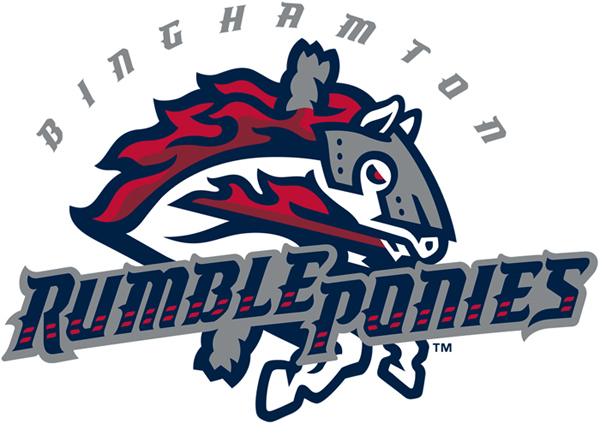 On their website, they write "Binghamton Rumble Ponies is a herd of fierce horses that no carousel center pole can contain." I would have ranked Timber Jockeys high as well, but I think Rumble Ponies is fabulous and the real winner. Thus, the new #1 on my list. Here's the horse without the word mark that is featured on their caps. Again, I would buy this hat (again, I wear a 7 7/8 if anyone in Binghamton is wondering... or a L/XL in a 39Thirty... or a XXL in a 47 Brand). 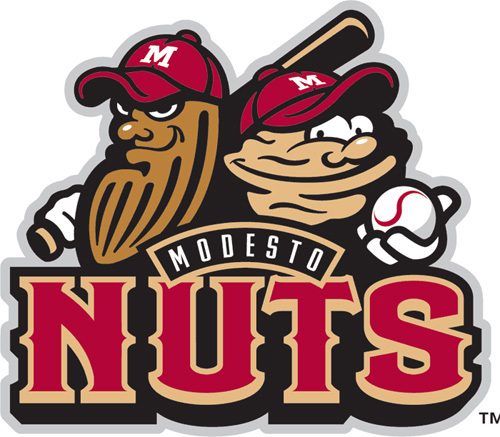 Once again, a celebration of original concepts and distinctive thinking, disguised as a top ten list of minor league baseball team names and logos. Hope you enjoyed it. If not, put your own list on your own website and I'll check it out.